The publicly filed exhibit contains only the cover page and a second page on which there was handwriting rather than duplicates of the whole collection. On the cover page, however, the Arabic numerals indicate "39-40" which appears to be volume numbers for the published U.S. embassy papers. 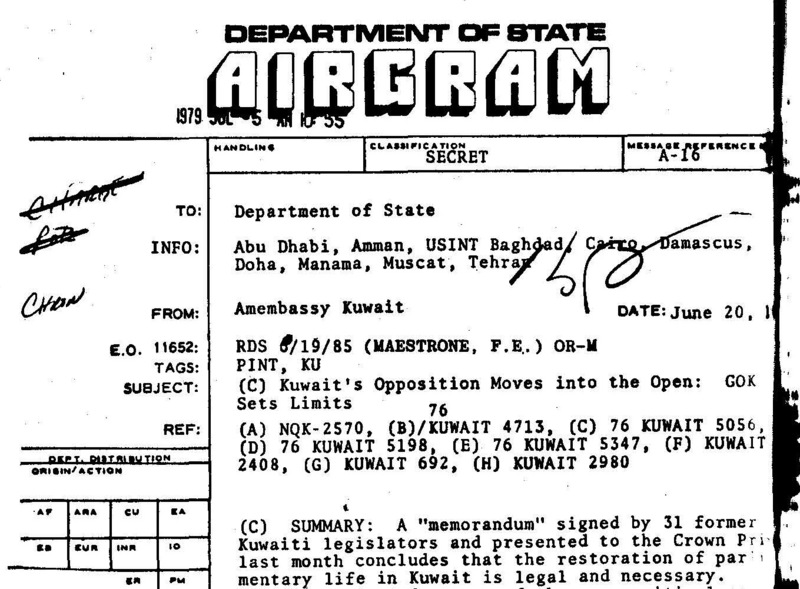 Volumes 39 and 40, which are available elsewhere online here and here, do primarily contain what purport to be seized U.S. Embassy records related to Kuwait.